The cutting of rubber blankets is a very precise job. 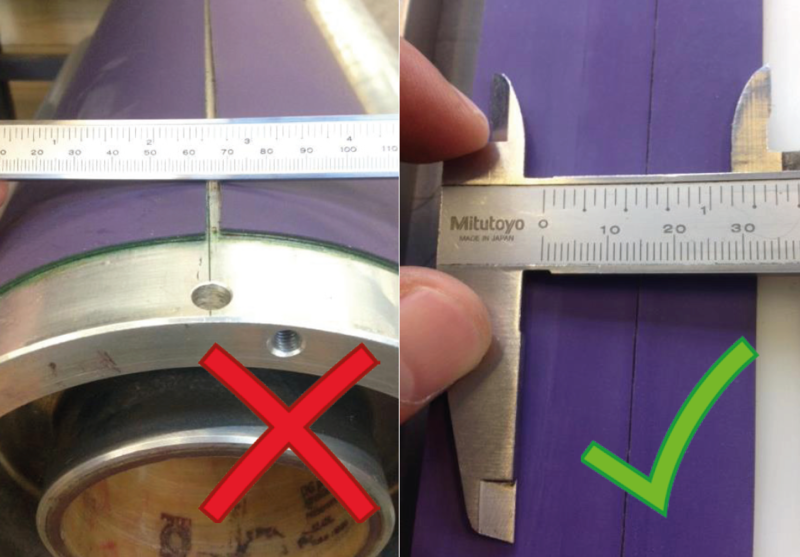 A few millimetres difference can create a large gap in the blanket on the offset cylinder. This can have some serious consequences for the printing quality. To minimize the gap in the rubber blanket, we developed a rubber blanket cutting tool. With this tool, the rubber blanket is cut accurately. This ensures a minimal gap to get the best possible printing result.